Peter Greer is the president and CEO of HOPE International. Peter joined HOPE in 2004, following extensive education and experience in the field of microfinance. He received a B.S. in international business from Messiah College, an MPP from Harvard’s Kennedy School, and an honorary doctorate from Erskine College. Prior to joining HOPE, Peter worked internationally as a microfinance advisor in Cambodia, technical advisor for Self-Help Development Foundation in Zimbabwe, and managing director for Urwego Community Bank in Rwanda. 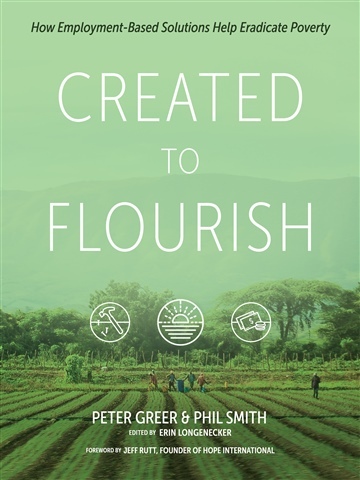 As an advocate for the Church’s role in missions and alleviating extreme poverty, Peter has been a speaker at conferences such as Catalyst, Passion, Harvest International’s Development Conference, and Jubilee, and he has been featured by Christianity Today, World, Forbes, CNN, and RELEVANT. Peter currently serves as the entrepreneur-in-residence at Messiah College and as a Praxis venture partner. He has also written The Spiritual Danger of Doing Good (with Anna Haggard, 2013), Mission Drift (with Chris Horst, 2014; selected as a 2015 Book Award Winner from Christianity Today), Entrepreneurship for Human Flourishing (with Chris Horst, 2014), Stop Helping Us (2014), Watching Seeds Grow (with his son Keith, 2014), 40/40 Vision (with Greg Lafferty, 2015), The Giver and the Gift (with David Weekley, 2015) and Created to Flourish (with Phil Smith, 2016; originally published as The Poor Will Be Glad in 2009).